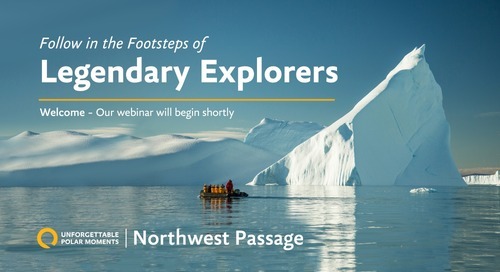 Below, please find a transcript of our Exploring Spitsbergen webinar. To learn more about our Spitsbergen expeditions, click here. 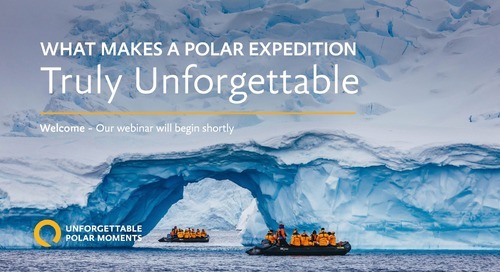 Good Afternoon everyone and welcome to today’s webinar hosted by Quark Expeditions, The Leader in Polar Adventures. 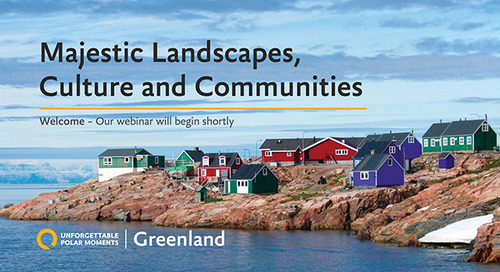 In today’s webinar, we will be exploring Spitsbergen—the wildlife capital of the Arctic! 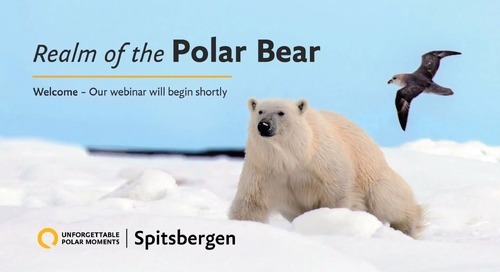 In this webinar, we’ll talk about who goes to Spitsbergen, what you can see and do there, when to go, what types of wildlife you might see, and what the onboard experience is like. 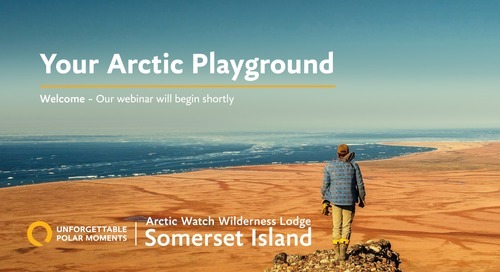 We’ll also answer the most common Spitsbergen-related questions that may come up. So who goes to Spitsbergen? If you’re a wildlife enthusiast and seeing a polar bear is on your bucketlist, you’ll be happy to know that Spitsbergen is known as the realm of the polar bear. It’s home to more polar bears than people! 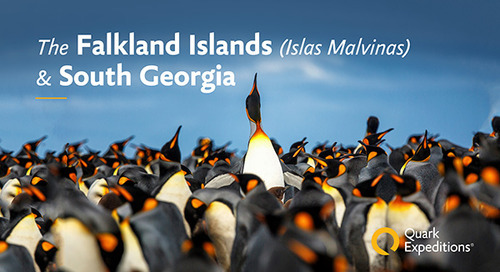 It’s also home to whales, walrus, arctic fox, reindeer, and so much more. This is great news if you love photography, as well. Maybe you want to come home with great shots of Arctic wildlife, or maybe you’re looking to capture classic Arctic vistas like icy mountains, bird cliffs and glaciers. Whether you’re an amateur or pro photographer, you’ll be thrilled with the number of opportunities to explore different camera angles by land and by sea, and the incredible variety of Arctic flora and fauna throughout the summer season. If you love an active adventure, you’ll get a lot out of travelling to Spitsbergen. This is perfect for those of you who are looking to spend as much time as possible outside hiking, kayaking, snowshoeing. Many of our Spitsbergen expeditions offer adventure programs for those who like physical activity to be a key part of their travel experience. If you’ve travelled to Antarctica, you’re really going to love Spitsbergen. 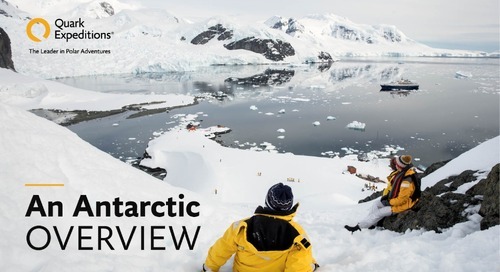 For many travelers, an Antarctic expedition is their entrance point to the polar regions. And if you loved that experience, you may have caught the polar bug… it’s okay, a lot of us have it! Those iconic Arctic views--tundra, glaciers and more. What can I see in Spitsbergen? What can I do in Spitsbergen? Spitsbergen is the largest and only permanently populated island of the Svalbard archipelago in northern Norway. Constituting the westernmost bulk of the archipelago, it borders the Arctic Ocean, the Norwegian Sea, and the Greenland Sea. It is the largest island in Norway and the 36th-largest island in the world—which makes it about half the size of Great Britain. Longyearbyen is the largest settlement, located about in the middle of the island and is also known as the world’s northernmost city. Spitsbergen offers something for everyone, from amazing wildlife and landscape photography to exciting outdoor adventures. From polar deserts to immense glaciers, the natural landscape here is just as varied as the wildlife. It also has a fascinating whaling and polar exploration history which appeals to all history buffs. While seeing the polar bear probably will top the wishlist for many of your travelers, Spitsbergen offers great opportunities to see other types of wildlife, including Svalbard reindeer, polar bears, migratory birds, walrus, belugas, seals and Arctic fox. You can really get moving by exploring Spitsbergen by kayaking, snowshoeing, hiking and Zodiac cruising. Every one of our expeditions offers you many chances to go on land and walk or hike for every experience level. The tundra can be surprisingly colorful in the summertime, with wildflowers, moss and lichen abounding during the short season. Zodiac cruising is also offered on all our Spitsbergen expeditions, and is a great vantage point to spot wildlife. You could see and hear the chaos of an arctic bird cliff from the water. Or if you’re lucky, witness a walrus haul-out, which creates quite a scene as they vie for a choice spot of coastline! Although highly weather-dependent, kayaking in the Arctic is probably one of the most intimate, inspiring ways for you to explore the rugged coastlines and calm bays of Spitsbergen--from towering cliffs to ice-strewn inlets and fjords. Visiting Spitsbergen truly gives you front-row seats to a wide variety of wildlife and spectacular destinations to capture amazing photographs. We’ve gone over some of the species of wildlife you could be fortunate to encounter, but that’s not to discount the incredible scenery as well! Beautiful fjords, spectacular ice, vast tundra and soaring mountain peaks deliver a truly iconic visual landscape that is a paradise for photographers. In fact, in 2018, we even have a special Spitsbergen Photography Expedition sailing in this area, perfect for any of you amateur or pro photographers. I’ll share a few more details shortly when we’re looking at different itineraries. Next, I’ll tell you a bit about 2 traditional communities in Spitsbergen that could be really appealing to those of you who are history and culture-minded. Flanked by two glaciers, the centre of Longyearbyen was founded by an American who started a mining operation on the island in 1906. Situated 814 miles from the North Pole, once your clients have visited Longyearbyen, they’ll be able to say they’ve been to the world’s northernmost town! It’s a unique community where the streets have no names and house cats have been outlawed to help protect the arctic seabird population. It’s not unusual to see reindeer wandering around town, and in the winter months, the primary mode of transportation are snowmobiles! On most of our voyages to Spitsbergen, your clients will have the chance to visit Longyearbyen and explore its art galleries, museums and restaurants. If you’re curious about the history of Spitsbergen, you’ll be intrigued by a visit to Smeerenburg. When whale hunting was still happening along the coastline and in the fjords of Svalbard (the first half of the 17th century) Smeerenburg served as the northernmost centre of operations. All you can see today that reveals its history as a whaling station are the large cement-like remains of blubber from ovens where the blubber was boiled, and indeed, its name means “blubber town”. The rest of the old Smeerenburg has largely disappeared, but the ruins are quite interesting to explore. 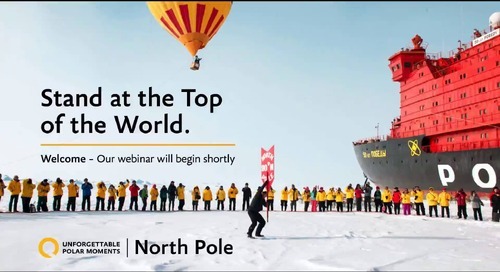 So, to wind up our webinar, let’s go over a few of the most commonly asked Spitsbergen questions. If you have your heart set on seeing polar bears, you’ll want to visit in June or July, when there’s typically more sea ice. More ice means that more polar bears will be out hunting and there’s a better chance you’ll see one. How likely is it that I'll get to see a polar bear? This is a tough question, and we don’t want to make any bold promises because after all, nature is the tour guide! What I can tell you with confidence is that if you are going to see a polar bear in the Arctic—Spitsbergen is your best bet. One thing that helps is that our expedition team keeps a “Polar Bear Watch” on the ship. So if there’s polar bear in sight, you won’t miss it! We sign up for different shifts, so at any given time, a few members of the expedition team will be out looking out for polar bears. If a bear is sighted and the passengers haven’t encountered one yet, the Expedition Leader will make an announcement to the entire ship—whether it’s 3 am in the morning or you’re just finishing your supper! You’ll see onboard and in the field that our expedition team are deeply committed to making sure you have the best Arctic experience. What are the main differences between Spitsbergen itineraries? Another question we typically hear is “how long should I go for? We offer a variety of trip lengths, from the longest--an attempted circumnavigation of the island--to the “highlights reel” version… and many other itineraries in between. The real difference between the shorter and longer itineraries is that on a longer itinerary, you’ll have more potential opportunities to see wildlife, and you’ll get to explore more islands in the archipelago. Also worth noting, is that all voyages start and end at Longyearbyen...so the longer you go, the further you can explore from the starting point. 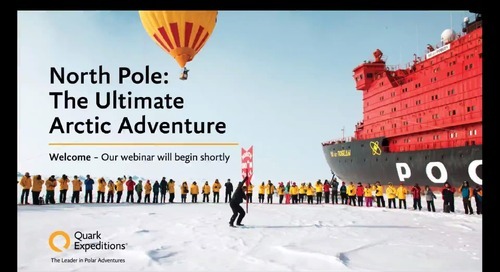 To some extent, sea ice dictates how far we can go on the expedition, but with more time, there are typically more chances to go farther into more remote areas. Next, we’ll look at our Spitsbergen itineraries for 2017 and 2018. If you’re interested in traveling to Spitsbergen this summer, you’re in luck, as we still have a few cabins available! This is our longest Spitsbergen itinerary and is the only one we offer that attempts a circumnavigation of the entire island. If all goes well, we could reach the seldom visited Phippsøya and Kvitøya, some of the northernmost islands in this archipelago. 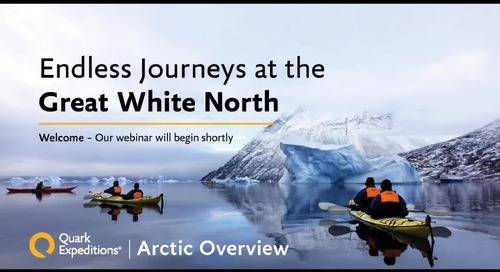 If there’s such a thing as a classic Arctic expedition, this is it. 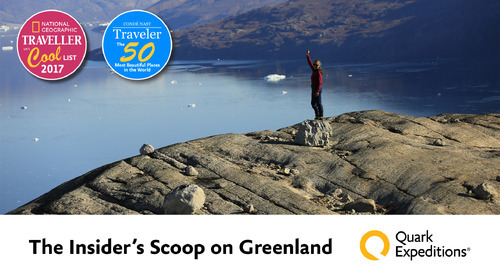 Travelers will get the best of Spitsbergen, from exploring the western edge of the island to venturing north into some of the outlying islands. This slightly shorter Intro to Spitsbergen gives travelers a taste of everything the Arctic has to offer, from polar bears to walrus, to spectacular scenery. Clocking in at only 6 days, this is the shortest Spitsbergen itinerary we offer and is new for 2018. It truly packs all the excitement of our longer Arctic cruises into a short and sweet voyage along the western coast of Spitsbergen. 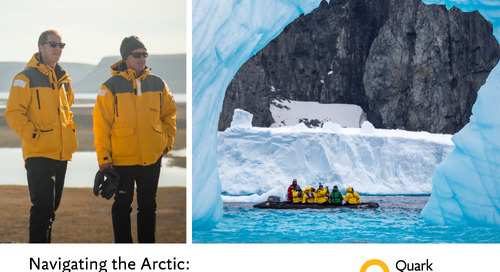 This itinerary is similar in length to the “In-depth” one, but the route we take and the shore landings we choose will be guided by our search for polar bears and other Arctic wildlife. 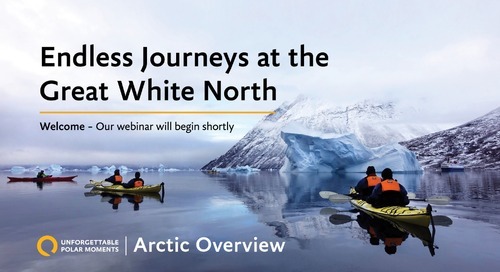 Talk about a picture perfect Arctic expedition for you avid photographers! What is the onboard experience like? The newly refurbished Ocean Adventurer—formerly known as the Sea Adventurer. And the Ocean Nova—our smallest most nimble arctic expedition ship. And the Ocean Nova offers a truly intimate experience with a guest capacity of 78. All cabins have exterior views and a private ensuite bath, making for a home-like and comfy environment. On all our ships, chef-prepared meals use the freshest available ingredients, ensuring that you truly enjoy the dining experience. 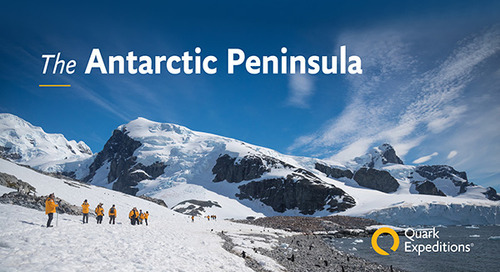 Our educational programme is second to none and includes talks and hikes with a variety of scientists and researchers including glaciologists, ornithologists, marine biologists and more. All our Spitsbergen itineraries start and end in Longyearbyen, which is accessible from most major international airports via Oslo. 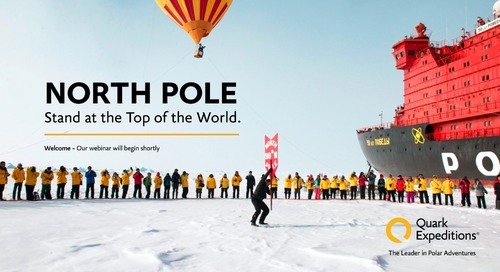 Don’t forget...our Polar Travel Advisers are always here to support you, whether you have specific questions on itineraries or would like to learn more about a destination. 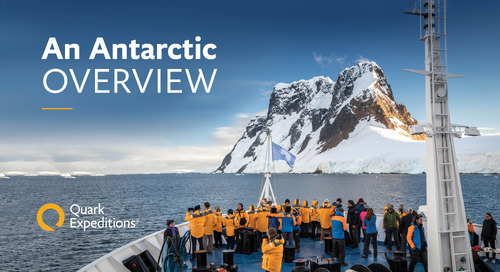 We’ve all been to the polar regions (and we are extremely passionate about them) and can provide tips and advice to help you find and plan your perfect polar expedition. You can explore all of your Spitsbergen expedition options on our website, where you’ll also find our Arctic Cheat Sheet, which gives you the best times to visit each Arctic destination and shares what you might see and do in each one. We do have a few great offers for those of you thinking of traveling to Spitsbergen this year. Worth noting: some of the Spitsbergen itineraries mentioned today are currently 25% off + flight and hotel credit I mentioned. 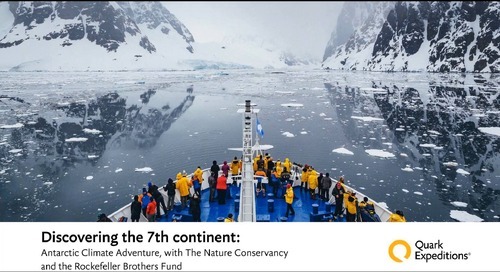 And if you’re thinking ahead to 2018, we also have an early booking bonus on all our upcoming 2018 voyages, including that great photography expedition. 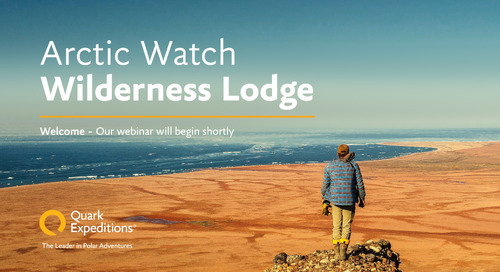 That concludes our webinar on Spitsbergen-- Thank you for joining us… any questions?